Francis L. Martin celebrated 92 years of life through Monday, August 27,2018. Francis is the husband of the late Leoda Albert Martin. Our loving Daddy is survived by his three children; Daryl Quigley, Leoda McConnell, Richard F Martin and his three son-in-laws Alan Quigley, Sel Warren and Andy Pecoraro. Francis is the son of the late Frank and Marion Martin, brother of the late Lydia Martin, survived by a sister, Marion Thibodaux and a brother-in-law, Raymond Thibodaux, Sr. Grandfather of Richard Jr. (wife Sally), John (Wife Joanna), Ron Thomas McConnell, Allan and Jennifer Quigley and the late Darylann Quigley. Great-grandfather of Jack, Alston, Kate, Olivia, J. J. McConnell and Gabrielle Yee. Survived by nieces, nephews, and great-nephews of the Thidodaux family. 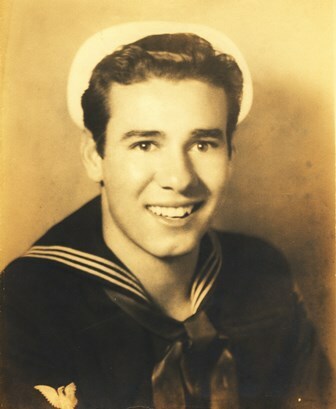 Daddy was a survivor of World War II (U. S. Navy) . His career in sales included sales leader for Sunbeam Bread Company and sales manager for Walker Romer Dairies. Dad was president of the Redemptorist High School Dads’ Club as well as president of The Irish Channel Recreation Center in New Orleans. A Celebration of Life and Love is scheduled at JACOB SCHOEN & SON, New Orleans, LA on Thursday, August 30, 2018. Visitation starting at 11:00 AM followed by a Mass in the Chapel at 1:30 PM. Burial to follow at St. Roch No. 1 Cemetery. Family and friends are welcome.